Owning a small business is tough. A growing company challenges the entrepreneur with ever more complexity, massive amounts of work and starts to consume every waking moment of their time. Yet, the blind pursuit of growth often leads not to more profit, but only aggravation and overwhelm. At a certain point in their journey, all business owners reach a point where they can no longer keep up with the increasing workload and complexity that comes with more sales and they find themselves stuck. Overcoming that challenge is what makes the difference between a lifetime of frustration and the lifestyle of freedom the entrepreneur wants. But the answer isn’t just more hard work. That was needed to past the survival stage, but it's not enough to get to the next level. The way to break free and regain control is to put in place the essential systems that any business must have in order to break through the constraints of owner dependence. 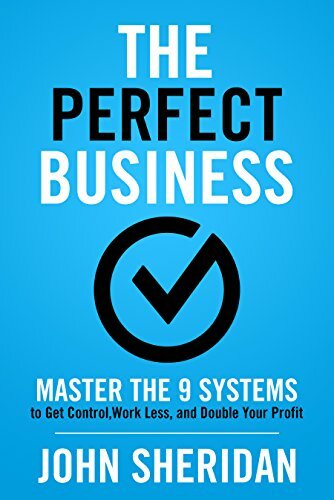 The Perfect Business explains the framework that simplifies the complex task of systemizing your business so it can operate with predictability, double its profit and free up the owner to focus on growth.